Preheat oven to 220 F. Melt the butter in a saucepan. Stir in flour to form a paste, add water, sugar, and bring to the boil. Roll out the pastry, cut the apples and fill it. Cover with strips of pastry to form a lattice design. Gently pour the sugar and butter liquid over the pastry. Bake the apple pie 15 minutes in the preheated oven. 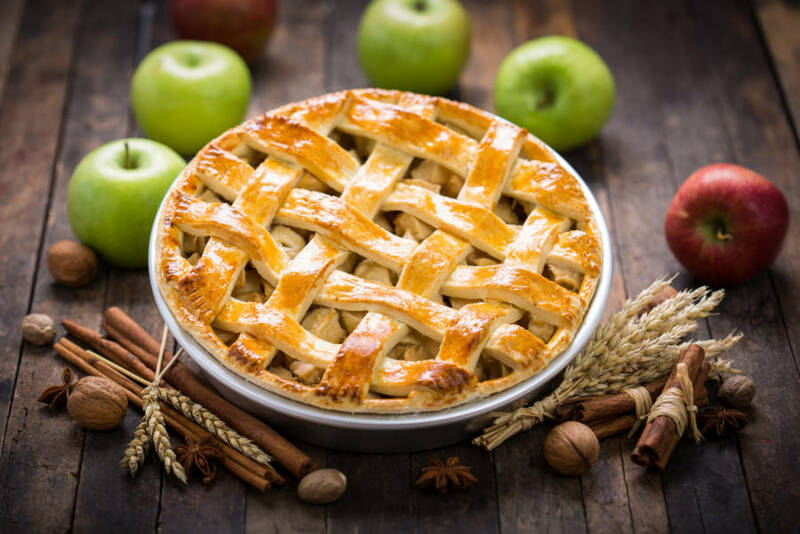 Reduce the temperature to 180 F. Continue baking the pie for 35 to 45 minutes, until apples are soft. If you desire, you can serve the apple pie with ice cream or custard.